If you plan to invest in prestige properties near Monaco, find out all you need to know about these amazing residences by visiting Palm REAL ESTATE’s website. 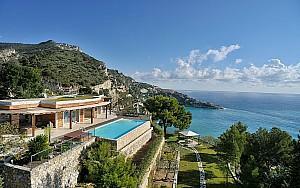 Discover our carefully crafted selection of real estate near Monaco : don’t miss out our villas for sale at the edge of Monaco, admire our beautiful top floor apartments in Villefranche sur Mer and imagine yourself living in one of our magnificent contemporary style properties in Eze sur Mer. Located at the edge of the Mediteranean sea, along the French Riviera and a few kilometers from Nice, the Principality of Monaco is a city-state surrounded by the French cities of Cap d'Ail, Beausoleil, Roquebrune-Cap-Martin and La Turbie. 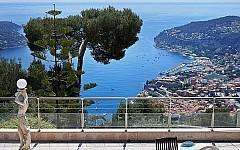 If you've always dreamed of living in a high end residence situated in a quiet, sunny area, you should check out the properties for sale and to rent near Monaco available on our website. 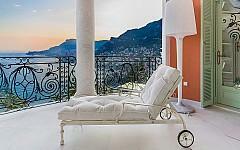 The real estate near Monaco presented by Palm REAL ESTATE usually offers wide living spaces, fully equipped kitchen and multiple bedrooms with en-suite bathrooms, shower room, guest room, garage and terrace with breathtaking sea views. These spacious homes near Monaco not only benefit from a privileged location, but also offer special luxury features like: recent renovation with high quality fixtures and fittings, sauna, gym and laundry room, pool with pool house, landscaped gardens, summer kitchen, private access. 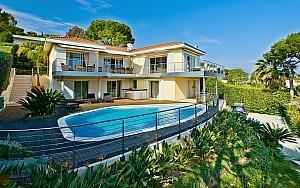 If you want to rent such a villa to spend quality time with your family or for business purposes, contact us. Whether you prefer a waterfront villa on three levels or a prestige top floor apartment with stunning views, we are here to help you discover the property that perfectly matches your taste and your budget. Contact us and we will put our twelve years of experience in the high-end real estate market on the Riviera to your service.